Interleukin 6 (IL-6) is produced by skeletal muscles in response to muscle contraction . Acute elevation of plasma IL-6 during exercise has been postulated to play a metabolic role in the body . Incubation of muscle cells with IL-6 stimulated muscle glucose uptake and lipid oxidation, and thus increased muscle substrate utilization . The postulation was confirmed by the finding that IL-6-deficient mice showed lower exercise performance than its wild-type littermates . Therefore, muscle-derived IL-6 is believed to play an important regulatory role in exercise performance, partly through promoting muscle substrate utilization during exercise. Activation of IL-6 intracellular signaling occurs through the binding of IL-6 with its receptor complex, glycoprotein 130 (gp130) and interleukin-6 receptor α (IL-6Rα), located at the cell membrane. This complex further activates Janus kinase (JAK)/signal transducer and activator of transcription (STAT), which is the major intracellular mediator of IL-6. Furthermore, suppressor of cytokine signaling 3 (SOC3) is a potent negative feedback inhibitor of the IL-6/STAT pathway. Its expression was regulated by IL-6 via the JAK/STAT pathway. While gp130 is ubiquitously expressed in most cells, IL-6Rα expression is tightly regulated and rather restricted . Skeletal muscle is one of the tissues that expresses IL-6Rα . Incubation of human skeletal muscle with physiological concentrations of IL-6 together with sIL-6R, a soluble form of IL-6Rα, promoted muscle glucose uptake independently of insulin, an effect not observed with IL-6 alone . This highlights the crucial role of IL-6Rα in determining local IL-6 activation in skeletal muscle, especially with respect to cellular metabolism. The effect of IL-6 depends on target tissues and exposure time. Although it is generally accepted that acute IL-6 exposure provides beneficial effects in skeletal muscles, sustained elevation of systemic IL-6 may have adverse effects . It was reported that physical training (high physical activity) reduced plasma IL-6 levels , but induced basal IL-6Rα protein expression in muscles . Consequently, it is likely that upregulated expression of IL-6Rα in endurance training plays an important role in the control of muscle IL-6 signaling. Interestingly, short-term (3-hours) exposure of IL-6 promoted insulin-stimulated glucose uptake in primary rat myoblasts. However, increased exposure time to 24 hours reduced muscle insulin-stimulated glucose uptake significantly . Moreover, chronic low elevation of plasma IL-6 level was shown to be positively correlated with the development of type 2 diabetes . IL-6 elevation was believed to be involved in the development of type 2 diabetes through the activation of its major downstream signaling transduction, p-STAT3 and SOC3 [12, 13]. While endurance training is well recognized to improve muscle function and likely to involve IL-6 , its effect on muscle IL-6Rα protein and IL-6 signaling under diabetic conditions is not yet known. Therefore, this study was aimed to investigate the effect of endurance training in normal and diabetic rats on the activity of IL-6 downstream signaling proteins in muscle tissue. The expression of downstream target proteins from the IL-6 pathway was determined in rats with type 2 diabetes induced by high-fat diet and low-dose streptozotocin (STZ). This model resembles the natural development of type 2 diabetes, in which the high-fat diet induces insulin resistance and STZ causes pancreatic beta-cell dysfunction . Exercise performance and muscle characteristics were investigated to confirm the sufficient endurance training-induced muscle adaptation. We hypothesized that diabetic muscle IL-6 signaling proteins express similar levels to that of normal healthy animals in response to training. However, endurance training may regulate muscle IL-6 signaling through mechanisms different from that induced by diabetes. The data obtained from this study may provide a better understanding of the role of the IL-6 pathway in long-lasting exercise and type 2 diabetes. All experimental procedures were approved by the Animal Care and Use Committee, Faculty of Science, Mahidol University, Thailand. Male Wistar rats, weighing between 230 280 g, were used in this study. The animals were housed at the Laboratory Animal Husbandry Unit, Central Animal Facility, Faculty of Science, Mahidol University, Thailand, in a room that controlled humidity (55 ± 5%), temperature (22 ± 2oC), and lighting (12:12 hours dark and light cycle). They had free access to standard rat chow diet and water ad libitum, prior to diet manipulation. After 2 weeks of diet feeding, the high-fat diet rats, which served as the type 2 diabetic group, were injected intraperitoneally with a single low dose of STZ (35 mg/kg) in citrate buffer pH 4.8 (0.25 ml/kg), whilst the normal diet rats (control group) were injected with 0.25 ml/kg vehicle citrate buffer. Fourteen days after injection, fasting blood glucose (FBG) was measured by a glucometer (Terumo, Japan). Those rats that showed FBG ≥ 14 mmol/l were considered to have developed type 2 diabetes, and were continuously fed with the high-fat diet until the end of the experiment. The persistence of diabetes was confirmed every month by FBG measurements using a glucometer, and the presence of glucosuria was tested using urine reagent strips (Clinistrip, USA). Firstly, rats assigned to the endurance training groups were allowed to get used to a treadmill by 5-10 minute running at a speed of 15 m/min once a day for 4 days. Thereafter, they ran five times per weeks, 60 min/day at a speed of 25 m/min for a period of 8 weeks. The slope of the treadmill was maintained at 12% throughout the endurance training. The exercise performance test was carried out at 24 hours after the last bout of exercise training. Rats from each group (normal sedentary, diabetic sedentary, normal training, and diabetic training) were encouraged to run on the treadmill sloped 12%. The running speed was adjusted starting from 21 m/min and gradually increased to 35 m/min. They were allowed to run until exhaustion, which was defined as the state at which the rats refused to run even after stimulation with compressed air. At the completion of the test, running durations and distances were recorded. The rats were anesthetized by intraperitoneal injection of pentobarbital sodium (50 mg/kg). In the exercise training group, anesthesia was induced at 24 hours after the last bout of exercise. Blood samples were collected in an EDTA-containing tube by cardiac puncture and centrifuged at the speed of 13,000g for 10 min at 4°C to separate the plasma. Plasma was stored at -80°C for further analyses. Right soleus muscle was excised and placed in an embedding mold at their in vivo length. They were immediately frozen in isopentane, cooled with liquid nitrogen, and stored at -80°C for histological analysis. Left soleus muscle was also removed, immediately frozen in liquid nitrogen, and stored at -80°C for protein expression analysis. Plasma samples were determined for fasting plasma glucose, triglycerides, and total cholesterol using enzymatic colorimetric methods (Erba Diagnostics Mannheim GmbH, Germany). Fasting plasma insulin was determined using a Rat Insulin ELISA Kit according to the manufacturer’s protocol (Millipore, Germany). The activity of succinate dehydrogenase enzyme (SDH) was used as an indicator of muscle oxidative capacity. Muscle histological analysis for SDH activity was performed according to the staining intensities following an incubation with a medium (0.2 M sodium succinate and 2.4 mM nitroblue tetrazolium in 0.2 M phosphate buffer (pH =7.6)) . Muscle transverse sections, 10 μm thickness, were cut from the mid belly region of the muscle in a cryostat at -20°C. The sections were brought to room temperature, air-dried for 30 min, and incubated in a medium for 60 minutes at 37°C. After incubation, the sections were rinsed with distilled water, and the unbound nitroblue tetrazolium was removed with graded acetone solutions (30%, 60%, and 90%, respectively). Sections were then mounted in aqueous mounting medium (50% glycerol in PBS). The blue color that appeared on the muscle section indicated the site of SDH activity. A Nikon TE 2000-S inverted microscope (Nikon, Japan) was used to capture the SDH staining in muscle sections by phase-contrast light microscopy at X10 magnifications. Approximately 400-500 fibers/sample were analyzed by ImageJ software (NIH, USA). The images of the SDH staining in muscles were first converted to 8-bit grey scale. Then, the mean optical density (OD) of the SDH activity per individual fiber was determined by averaging the optical density measured in every pixel of the muscle cell, and corrected for the mean OD of the background. To assess the distribution and expression of glucose transporter 4 (GLUT4) protein, immunofluorescence staining was performed in soleus muscles. Muscle sections, 10 μm thickness, were fixed for 5 minutes in a fixative solution (75% acetone and 25% ethanol), and washed 3 times for 5 minutes in phosphate buffered saline (PBS, 137 mmol/l NaCl, 2.68 mmol/l KCl, 10.14 Na2HPO4, 1.47 mmol/l KH2PO4). Subsequently, the sections were blocked with 5% normal goat serum for 60 minutes at room temperature. They were then incubated with rabbit polyclonal antibody against GLUT4 at a dilution of 1:200 (Abcam, UK) in 5% normal goat serum overnight at 4°C. Following primary antibody incubation, the sections were washed with PBS three times for 5 minutes, and incubated with goat anti-rabbit IgG 488 secondary antibody (Invitrogen, USA) at a dilution of 1:200 in PBS for 60 minutes. Then, the sections were mounted in 50% glycerol. An Olympus IX83ZDC inverted motorized microscope (Olympus, USA) was used to obtain the image of GLUT4 distribution in muscle sections. Soleus muscles were weighed and added into 20X cold lysis buffer solution (50 mmol/l Tris (pH 7.5), 1 mmol/l EDTA, 150 mmol/l NaCl, 1 mmol/l NaF, 1 mmol/l Na3VO4, 1% Triton X-100, 1 mmol/l phenylmethylsulfonyl fluoride). Subsequently, 30 μl of 10X protease inhibitor was added, and the tissues were homogenized by a homogenizer (Polytron PT 3100, Kinematica AG, Switzerland). The tissue homogenate was then centrifuged at 12,000 g for 10 minutes at 4°C, and the supernatant was collected. Protein concentration was quantified using the Bradford reagent (Sigma, USA), and determined by spectrophotometry at 590 nm . Eighty micrograms of protein were loaded onto 10% polyacrylamide gel, and transferred to the nitrocellulose sheet. Then, it was blocked with 5% nonfat dry milk for 60 minutes at room temperature, and incubated with mouse monoclonal antibodies against IL-6, IL-6Rα (Santa Cruz Biotechnology, USA), p-STAT3 (tyr705), and rabbit polyclonal antibody against SOC3 (Cell Signaling Technology, USA), and GLUT4 (Abcam, UK). It was also incubated with mouse monoclonal antibody against tubulin (Santa Cruz Biotechnology, USA), which served as a loading control. The blots were then probed with the corresponding secondary antibodies to IgG conjugated to horseradish peroxidase. The proteins were visualized by chemiluminescence detection according to the manufacturer’s protocol (Millipore, Germany), and light emittance was detected on X-ray film, which was further quantified by densitometry using ImageJ software (NIH, Bethesda, MD, USA). All statistical analyses were performed using GraphPad Prism 5.0 software (GraphPad Software, USA). Data were expressed as means and standard errors of mean (mean ± SE). Statistical differences in various parameters of diabetes and endurance training were determined by two-way analysis of variance (ANOVA). P < 0.05 was considered statistically significant. The effects of high-fat diet, low-dose STZ-induced diabetes, and 8-week endurance training on the metabolic profiles of the rats were examined (Table 1). 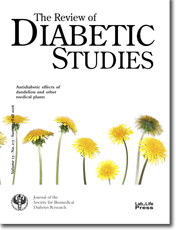 As expected, animals fed with high-fat diet and subsequently receiving low-dose STZ showed markedly high fasting plasma glucose (p < 0.001), which indicated diabetes (i.e. higher than 14 mmol/l). These rats also had significantly lower body weight (p < 0.01), lower fasting plasma insulin (p < 0.001), and higher plasma total cholesterol (p < 0.05) than those receiving normal diet (non-diabetes). Of note, plasma triglyceride levels were not altered in this model. Legend: The data are presented as means ± SE (n = 7 animals/group). * p < 0.05 compared with the respective sedentary group. # p < 0.05, ## p < 0.01, ### p < 0.001 compared with the respective normal group. Abbreviations: BW - body weight; FPG - fasting plasma glucose; FPI - fasting plasma insulin; FPT - fasting plasma triglycerides; FTC - fasting total cholesterol. Endurance training for 8 weeks in both normal and diabetic rats did not lead to changes in body weight compared with sedentary rats. The training reduced plasma triglyceride levels in both normal and diabetic rats compared with the sedentary groups (p < 0.05). However, fasting blood glucose of individual rats (internal control) before and after 8 weeks of training revealed that training tended to lower fasting blood glucose both in normal (-11.00 ± 6.18 mmol/l) and diabetic rats (-14.91 ± 12.61 mmol/l). In contrast, diabetic sedentary rats showed a progressive increase in fasting blood glucose over time (15.90 ± 13.65 mmol/l). As mentioned above, 8 week endurance training had a tendency to reduce fasting blood glucose when compared to the level before training, but this effect did not reach statistical significance. It is well known that glucose utilization mostly occurs in muscle, and endurance training-induced muscle glucose uptake largely depends on the amount of GLUT4 located at the plasma membrane [18, 19]. Thus, total protein and plasma membrane localization of GLUT4 were analyzed in soleus muscle. We found that diabetes did not induce significant change in total GLUT4 (Figure 1A). However, endurance training showed a tendency to increase total GLUT4 protein contents in soleus muscles of both normal and diabetic animals. Diabetic rats showed lower plasma membrane GLUT4 protein contents in soleus muscle (Figure 1B). Interestingly, GLUT4 translocation to the plasma membrane was markedly increased in both normal and diabetic rats that performed the endurance training; this was not the case in the sedentary animals. Figure 1. Expression and distribution of GLUT4 protein in soleus muscle. Upper panel (A): representative western blot depiction of muscle GLUT4 from normal sedentary (NS), diabetic sedentary (DS), normal training (NT), and diabetic training (DT) rats. The lower panel shows the quantitative analysis of western blot as fold changes from NS rats. Total GLUT4 protein expression in muscles was performed using western blot and normalized by tubulin. (B) GLUT4 localization at plasma membrane was performed by immunofluorescence staining. The figures show the immunofluorescence images of GLUT4 (green) in the soleus muscle. Data are presented as means ± SE. Scale bar = 50 μm. Running until exhaustion was conducted to investigate the exercise performance of normal and diabetic rats in response to endurance training. The running time and distance via forced treadmill running were used as indicators of exercise performance. The diabetic rats had lower exercise performance, as indicated by a statistically significant decrease in the running time (p < 0.05) (Figure 2A). On the other hand, the reduction in running distance was not significant (Figure 2B). However, the endurance training clearly improved exercise performance, as seen by the increase in both running time of about a triple (p < 0.001) and running distance of a quadruple (p < 0.001), in both normal and diabetic rats, than their respective sedentary counterparts. Figure 2. Physical performance of rats. The performance was assessed using running time in minutes (A) and running distance in meters (B). Running until exhaustion was performed on treadmill with a slope of 7 degree and a speed of 21 m/min, with progressive increment in speed until rats refused to run after stimulation. The physical performance was assessed at 24 hours, at the end of all treatments (n = 5). Data are presented as means ± SE. *** p < 0.001 compared with sedentary rats, # p < 0.05 compared with non-diabetic rats. To determine the effect of the 8-week endurance training on muscle function, muscle oxidative enzyme capacity, a classic indicator of muscle adaptation after endurance training, was analyzed. Histochemical analysis of SDH enzyme activity, commonly used as a marker of muscle oxidative enzyme capacity, was performed in soleus muscles . Diabetic rats showed a trend towards a decrease in soleus muscle SDH activity (Figure 3). Meanwhile, endurance training markedly increased the SDH activity by about 35% in both normal and diabetic rats compared to their corresponding sedentary counterparts (p < 0.01). Figure 3. Succinate dehydrogenase (SDH) activities in soleus muscle. The upper panel (A) shows the quantitative analysis of SDH activity presented as arbitary unit (AU). Data are means ± SE. ** P < 0.01 compared with the respective sedentary groups. Scale bar = 50 μm. The lower panel (B) shows the representative serial transverse sections of the soleus muscle in normal sedentary (NS), diabetic sedentary (DS), normal training (NT), and diabetic training rats (DT) stained for SDH activities. SDH activity was assessed based on muscle histology. The blue color that indicates the site of SDH activity was analyzed by measuring staining intensity (i.e. the darker color, the higher SDH activity). To determine the influence of diabetes on the local effect of endurance training-induced IL-6 in muscle, protein expression of IL-6 and IL-6Rα were determined in soleus muscles. It was found that the diabetic condition had no effect on IL-6 protein expression in the muscles (Figure 4). Furthermore, IL-6 protein expression in the soleus muscle of the trained rats was not different from that of the non-trained animals. Figure 4. IL-6 protein expression in soleus muscle. The upper panel (A) shows the representative western blot of soleus muscle IL-6 in normal sedentary (NS), normal training (NT), diabetic sedentary (DS), and diabetic training rats (DT), respectively. The lower panel (B) shows the quantitative analysis of western blot as fold changes from the NS group. The western blot was normalized by tubulin. Data are presented as means ± SE. As the interaction of IL-6Rα and IL-6 is the rate-limiting step in the IL-6 signaling transduction , it was assumed that an increment of IL-6Rα probably enhanced IL-6 signaling transduction, despite no change in the amount of IL-6. We further investigated the changes in IL-6Rα protein contents in soleus muscles. The results showed that, while diabetes did not alter IL-6Rα protein expression (Figure 5), endurance training significantly enhanced IL-6Rα protein expression by approximately 25% (p < 0.05) in soleus muscles of normal rats, and to a lesser extent (15%; p < 0.05) in diabetic rats. Figure 5. IL-6Rα protein expression in soleus muscle. The upper panel shows the representative western blot of IL-6Rα in normal sedentary (NS), normal training (NT), diabetic sedentary (DS), and diabetic training rats (DT), respectively. The lower panel shows the quantitative analysis of western blot as fold changes from the NS group. The western blot was normalized by tubulin. Data are presented as means ± SE. * p < 0.05 compared with the respective sedentary groups. Given that an upregulation of IL-6Rα protein, but not IL-6, in muscles by endurance training may subsequently promote IL-6 signaling in both normal and diabetic rats, we determined the intracellular target protein in the IL-6 pathway that was known to be induced by diabetes, i.e., transcription factor, STAT3 . Western blot analysis of protein phosphorylation of STAT3 (tyr705) in soleus muscles showed a 2-fold elevation of p-STAT3 (tyr705) in diabetic rats as compared to normal rats (p < 0.05) (Figure 6A). Notably, endurance training did not alter the p-STAT3 (tyr705) level in both normal and diabetic rats. Suppressor of cytokine signaling 3 (SOC3) is a potent negative feedback inhibitor of the IL-6/STAT pathway, and is involved in diabetes development . Therefore, we determined the level of SOC3 protein content in soleus muscles. As seen in Figure 6B, the diabetic condition enhanced SOC3 protein expression by ~50 % (p < 0.05) in both sedentary and training rats. In agreement with the changes in p-STAT3 levels, endurance training per se had no effect on SOC3 protein expression in soleus muscles of normal and diabetic rats. Figure 6. Phosphorylation of STAT3 (tyr705) protein (A) and SOC3 protein expression (B) in soleus muscle. The upper panel shows the representative western blot of proteins in normal sedentary (NS), normal training (NT), diabetic sedentary (DS), and diabetic training rats (DT), respectively. The lower panel shows the quantitative analysis of western blot as fold changes from the NS group. The western blot was normalized by tubulin. Data are presented as means ± SE. # p < 0.05 compared with the respective non-diabetic groups. The expression of IL-6Rα induced by endurance training was not altered by diabetes. Exercise-induced upregulation of IL6Rα expression was not associated with p-STAT3/SOC3 protein expression in the muscle of diabetic rats. Thus, endurance training promoted IL-6 signaling via a different intracellular signaling pathway from that induced by diabetes. Notably, regarding the IL-6 signaling components in muscles, the present data showed that diabetes had no effect on IL-6 and IL-6R, but did raise both p-STAT3 and SOC3 levels compared with those in normal rats. These observations match with alterations observed in diabetic patients [12, 13]. Our results showed that 8-week endurance training alone did not improve fasting plasma glucose in diabetes. This is consistent with previous studies showing that twelve weeks of exercise without weight loss or exercise intervention alone were unable to improve systemic metabolism. However, both of the previous studies also showed that exercise training intervention significantly increased endurance performance in obese and type 2 diabetic subjects [22, 23], similar to the finding in the present study. Beyond that, we found that fasting blood glucose of each training rat tended to be lower after training. This effect may be mediated by training-induced muscle GLUT4 localization to the cell membrane, as described previously [18, 19]. The effect of endurance training on basal muscle IL-6 gene level is described inconsistently in the literature [21, 23-25]. One study showed that 8-week endurance training rats had higher muscle IL-6 protein level compared with control . In our study, endurance training did not change the basal IL-6 protein level in muscles of both normal and diabetic rats. As the amount of muscle-derived IL-6 during exercise depends on exercise intensity and metabolic disturbances , these inconsistent results may be affected by the different exercise regimens applied in the studies. In our study, the animal performed a constant intensity of exercise over 8 weeks, whereas other studies applied a progressive increase in exercise duration and speed over 8 weeks of training . The different results may also emphasize the significant role of IL-6Rα in determining local IL-6 signaling in muscles. Endurance training consistently led to elevated muscle IL-6Rα levels. This effect has previously been reported to be independent of substrate availability, training status, and IL-6 regulation [6, 27, 28]. Our study is the first to show that training-induced IL-6Rα expression in soleus muscles was conserved in diabetes. Furthermore, we found that IL-6Rα response to endurance training was unaltered under diabetic condition, suggesting that the expression of IL-6Rα was not principally controlled by the systemic disturbances caused by diabetes. Although we showed that endurance training did not permanently increase muscle IL-6 protein, chronically elevated muscle IL-6Rα protein levels may augment local IL-6 signaling. IL-6 is a potent regulator of p-STAT3/SOC3 activation . Basal p-STAT3/SOC3 proteins in the muscle of diabetic individuals are markedly higher than in normal subjects. The elevation of these protein levels contribute to the metabolic impairments in diabetes through alterations of the major metabolic pathways [12, 13]. The elevation of the basal p-STAT3 level could be induced by exposing the muscle to a high-fat milieu. Although high-fat-induced p-STAT3 elevation in muscles was IL-6-dependent, IL-6 itself did not directly contribute to muscle insulin resistance . This was supported by another study showing different responses of p-STAT3 to high fat and to IL-6 stimulation in muscle cells. Thus, exposure to high fat caused a slow and persistent p-STAT3 activation, which subsequently perturbed insulin signaling, whereas exposure to IL-6 per se caused a rapid transient p-STAT3 activation without modulation of insulin signaling . Moreover, chronic IL-6 exposure (i.e. in diabetes) led to muscle insulin resistance via the IL-6/JNK/SOC3 pathway, while acute exposure of muscle cells to IL-6 (i.e. in exercise) stimulated basal glucose uptake via the IL-6/LKB1/AMPK pathway . Finally, AMPK silencing abolished the effect of IL-6 on muscle lipid oxidation . Collectively, IL-6 effects on muscles are dependent on downstream activators. In line with these statements, our study showed that endurance training promoted IL-6Rα expression, without altering basal p-STAT3/SOC3 expression in both normal and diabetes muscle after training. Since we did not find changes in IL-6 protein expression in sedentary and trained muscles, the unaltered p-STAT3 level after training may have resulted from lower systemic IL-6 levels commonly found in training situations . Thus, endurance training-induced IL-6Rα expression was a phenomenon separate from the diabetes-related basal p-STAT3/SOC3 elevation in muscles. Endurance training may be responsible for acute IL-6-activated muscle metabolism, at least through the AMPK-dependent pathway. In conclusion, our study investigated the effect of endurance training, which promoted basal muscle IL-6Rα protein expression in muscles of type 2 diabetes animals. We also determined the influence of this promotion on IL-6/STAT3/SOC3-induced muscle metabolic disturbances in type 2 diabetic rats. We found that IL-6Rα expression was enhanced by training in both normal and diabetic rats. However, this effect was not associated with IL-6-induced elevations of p-STAT3 and SOC3 found in diabetes. Acknowledgments: The authors gratefully thank Prof. Chumpol Pholpramool and Prof. Nateetip Krishnamra for their valuable comments and corrections of the manuscript. This work was supported by the Thailand Research Fund through the Royal Golden Jubilee Ph.D. Program (Grant PHD/0301/2551 to P.P. and V.C. ), and the Office of the Higher Education Commission and Mahidol University under the National Research Universities Initiative.